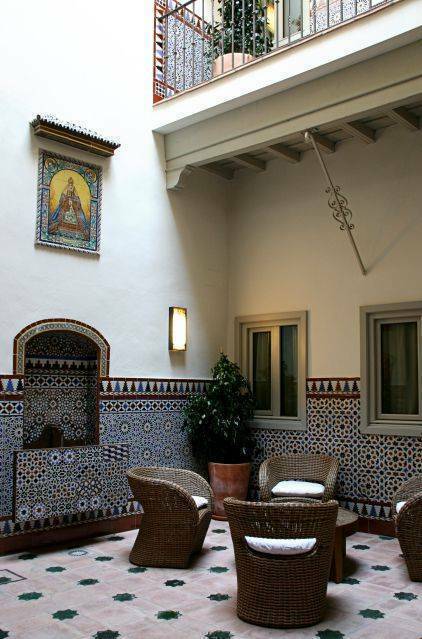 The Hotel Casas de Santa Cruz is located at a 2 minute walk to the cathedral or Giralda tower. Our Hotel is situated in one of the most photographed street of Seville. 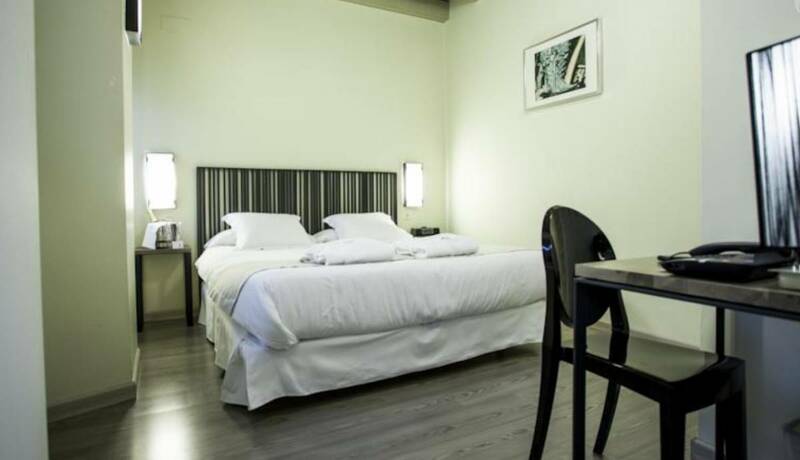 Just two minutes’ walk from the Cathedral, Alcazar or Giralda Tower, you will find this nice modern 3 stars hotel where you will enjoy the magic of the popular Santa Cruz District. The Hotel Casas de Santa Cruz is a mix of modernity and Andalusian style, where a fountain of tiles becomes an avant-garde work of art and where every corner is turned into an Ana Martinez photo exhibition. 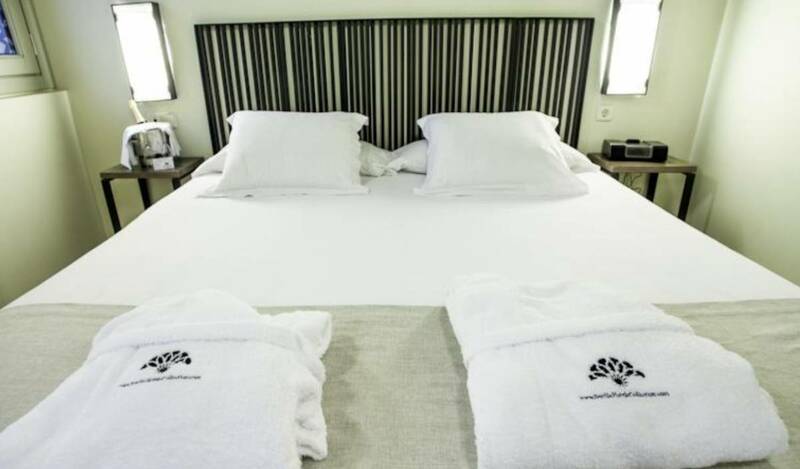 All the rooms offer air conditioned, free WIFI, digital LCD TV, private bathroom, safe box… you will also enjoy our sunny terrace with a beautiful view on the Giralda Tower or the Sevillian gastronomy in our Restaurant Santa Cruz, in Plaza de los Venerables.